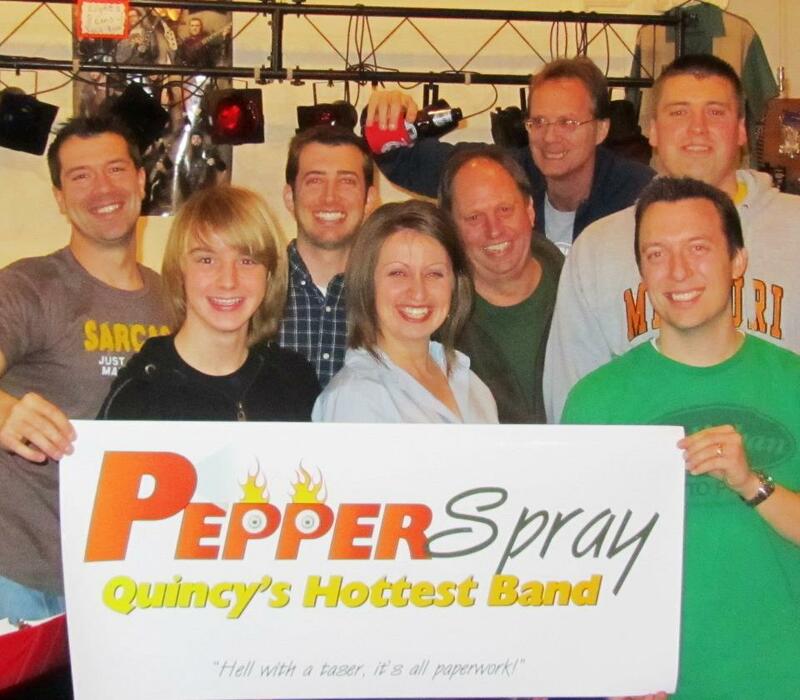 TONIGHT IS OUR big Pepper Spray debut at One Restaurant. 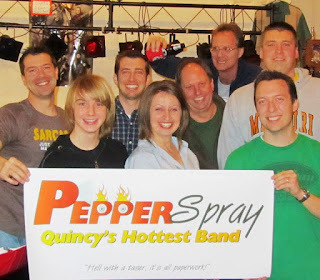 This is the crew that jams in Second String Music every other Friday. And on Christmas Eve. And whenever we feel like it. I have no idea how it will sound. It's just a bunch of acoustic guitars, a keyboard, a bass, a percussion guy and harmonica. The idea is not to be loud but to be fun, and to play a range of styles, from country to big hair band songs. We do it just to have a good time, and now we are doing it on stage in front of people. We have no plans to play a lot out in public, but we do have some other ideas and potential gigs. We play from 6 to 9 p.m. Hopefully we don't scare anybody away. And, as always, the more you drink the better we sound. Some of us have played in bands and it's no big deal, others haven't, but it's no big deal. Just get out there and play!